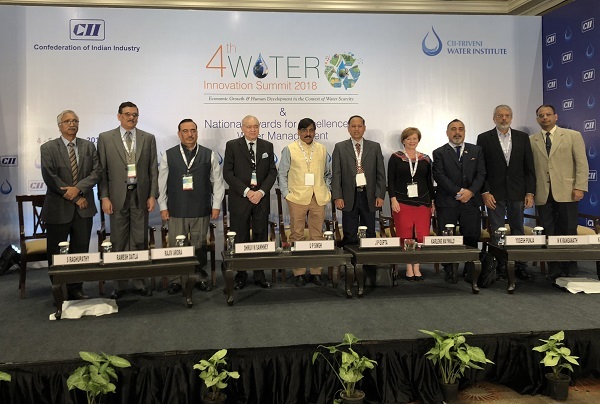 Australia was Partner Country of the 4th Water Innovation Summit, in New Delhi last week, deepening the relationship with the Confederation of Indian Industry (CII), and providing opportunities for Australian business to engage with Indian businesses to find water solutions. The Australian Government and Australian Water Partnership were pleased to sponsor the Summit identifying India as a priority for developing strengthened water relationships. ICE WaRM’s Chair, Karlene Maywald, and Strategic Adviser of International Water Opportunities to the South Australian Government, gave an inspirational address highlighting the importance of the partnership between the two countries. 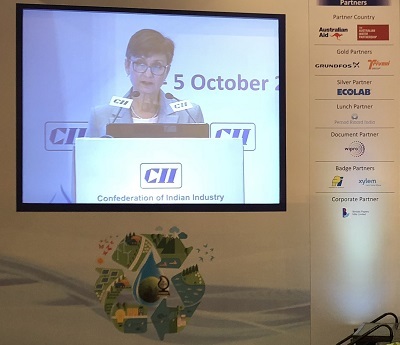 “Australia and India have a great deal to learn from each other in our water journey,” said Ms Maywald. The summit reinforced the leading role that the private sector needs to play in driving water reform and the necessity of structural adjustments to improve water security and economic development. Ms Maywald also led the business to business round table ‘Round table with Australia on New Technologies and Innovative decision making for Water Security’, which provided an opportunity to explore technologies and approaches. A common area of discussion was the need for capacity development in policy, governance and practice. “Each project requires a capacity development element to ensure the best use is made of investments in infrastructure,” said Karlene. Australia’s High Commissioner to India, H.E. Harinder Sidhu, gave a keynote address which acknowledged the work of the South Australian Government and ICE WaRM in establishing RaCE WaRM through an MoU between the South Australian and Rajasthan Governments. The speech also highlighted ICE WaRM’s recent Australia Awards Fellowship which delivered a programme in Australia on Integrated Groundwater Management to participants from Rajasthan. Australia’s participation was facilitated by ICE WaRM and Steve Morton from the South Australian Government Department for Environment and Water (DEW) who led the programme development and participation by the Australian delegation and RaCE WARM. approaches to water management that can be applied worldwide. By cooperating globally, the sector can share learning, jointly develop new technologies services and enable innovative research that will provide the foundation for sustainable water management over coming decades.